While Haitian prime minister Jean Henry Ceant is taking about political dialogue, Jean Bertrand Aristide's LAVALAS party makes is clear, they are not interested in a negotiation. 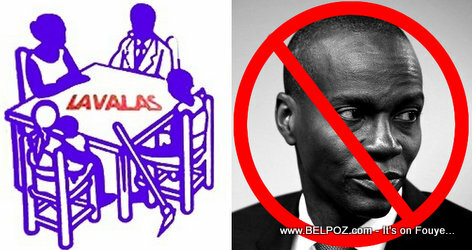 Fanmi Lavalas wants a Tabula Rasa, president, prime minister, and parliament, all gone! Joel Vorbe, one of the board members of Fanmi Lavalas party, in an recent interview to the daily newspaper the Nouvelliste, said he is not interested in what Prime Minister Ceant is offering on the negotiating table. 4) - 36-month transition - Set up an executive and a government of public safety (gouvernement de salut public) to ensure a 36-month transition during which they will have to respect and fulfill the priorities defined in a roadmap that serves as their mandate / terms of reference for the objectives and actions of the transitional government. So... Basically, Fanmi Lavalas wants full power in Haiti without going to elections! Aristide never was capable of doin anything for Haiti. I don t like those bigots, all alike. mail I sent to spring valley. I always see myself as a Lavalas; more likely I usually say that I am an Aristidiste. However, I do not support the position of the Fanmiy Lavalas.